What really set Garmin's original vívofit apart from the myriad of other fitness trackers already on the market at the time wasn't its always-on screen or its battery that was good for an entire year. It was the use of a thin red bar on the display that grew longer and longer while you were inactive. And Garmin's new vívofit 2 improves on that guilt-inducing reminder with audible alarms that will eventually shame you into getting up and getting active. 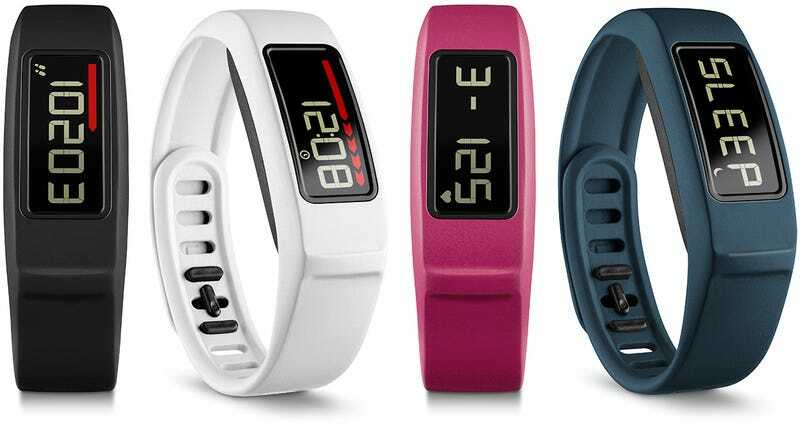 Available in black, white, pink, and navy blue sometime in the first quarter of 2015, the vívofit 2 will come with the same $130 price tag as the original version, as well as all of the fitness, sleep tracking, and smartphone syncing capabilities of the first vívofit. It's also waterproof to a depth of 50 meters and boasts the same non-rechargeable but swappable battery that's good for a continuous year before it needs to be replaced, so there's really very few reasons to ever take it off.